Dimensions 0 by 8.62 by 10.87 in. aÂ new andÂ popular way to learn about and to practice entrepreneurship. new practical exercises, questions and activities for each step in your process. specific principles derived from the methods of expert entrepreneurs. over seventyÂ updatedÂ case briefs of entrepreneurs across industries, locations and time. new applications to social entrepreneurship, technology and toÂ large enterprises. In this vibrant updated edition, you will find these ideas presented in the concise, modular, graphical form made popular in the first edition, perfect for those learning to be entrepreneurs or those already in the thick of things. If you want to learn about entrepreneurship in a way that emphasizes action, this new edition is vital reading. 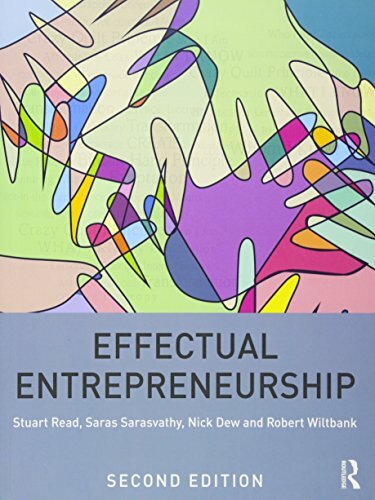 If you have already launched your entrepreneurial career and are looking for new perspectives, take the effectual entrepreneurship challenge! this book is for you. If you feel that you are no longer creating anything novel or valuable in your day job, and youâre wondering how to change things, this book is for you. About: What are you waiting for?